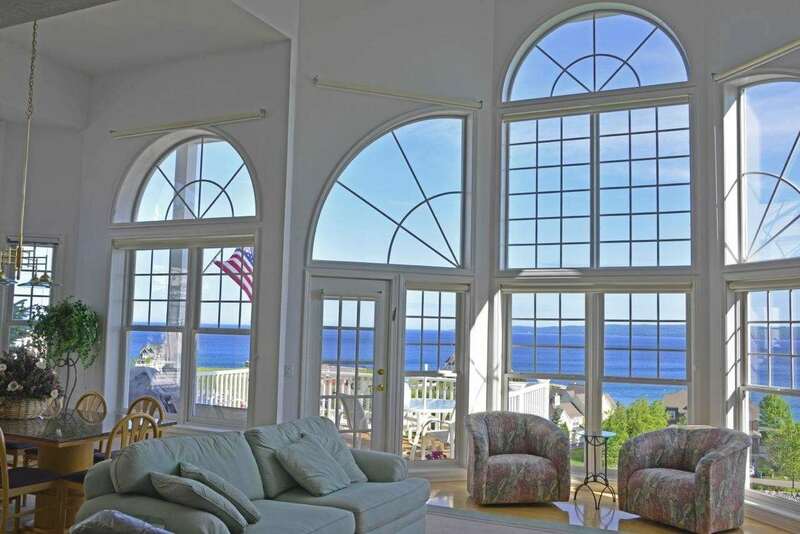 Find homes for sale in Petoskey, Michigan and search Petoskey, MI real estate and houses. Browse condos, townhomes & rentals with RE/MAX Michigan. The nature preserve behind NCMC. The Historic Gaslight District in Petoskey, MI overlooks the waters of Little Traverse Bay. Petoskey get's some crazy weather. Just look at this video on how quickly things can get downright scary! Living in Northern Michigan there are certain things you learn to deal with. The humid summers, the cold winters, and the variable weather in general can take it's toll. Coming into the winter months, with hilly areas such as Petoskey, there are certain things you can do keep yourself safe when traveling by automobile. Some recommendations include having proper windshield washing fluid that is meant to work at low temperatures. A scraper and brush for snow and ice is a must. Having some blankets and a flashlight in the car may also help if you find yourself in a ditch. Always make sure you have a cell phone charger if you need to call for help. One of the most overlooked safety precautions you can take is having a set of winter tires. Winter tires have rubber compounds that are meant to stay soft at lower temperatures. The reason all-season or summer tires don't work as effectively in cold temperatures is because the rubber compounds get stiffer in the cold and essentially become like rotating hockey pucks. Winter tires help improve your grip on snow and ice to help you get moving and more importantly to stop in a shorter distance. At the same time, you want to remove winter tires when the temperatures exceed 45 degrees regularly. That is because the compounds in winter tires are softer and will wear quicker in warmer temperatures. A final note, I was a nonbeliever when it comes to winter tires, however, after having a set, I won't ever go back to all seasons during the winter time. The protection and safety of my family is my utmost concern, and though not infallible, winter tires provide an additional safety barrier to protect myself and my family. Remember that if you don't think it's safe to drive - wait until it is. These tips above are not all-inclusive, but some of the steps you can take to keep yourself safe in the winter. Drive safe! Petoskey has fun traditions for Halloween and is a great place to live or visit during the week of Halloween. Typically there is a costume parade that goes from Central Elementary School and down Howard Street to Pennsylvania Park. Downtown stores display a Trick or Treat poster on their doors and welcome kids to partake in a treat or treasure. For those that can't have food treats or have allergies or other conditions, some businesses display a teal pumpkin in the window signifying they'll provide a non-food treat. For the 2018 year, Grain Train will have their 8th annual kid's tasting from 10:00 a.m. to noon. Stafford's Perry Hotel's Noggin Room restaurant will have a kid's buffet for $2.99 per child with purchase of a full price item from the Noggin Room menu. Buffet to include chicken fingers, mac and cheese, fries, fruit, and cookies. For those adults that would like to hydrate and bring the kids, Beards Brewery will have "Pumpkin and a Pint" where you can carve a pumpkin while enjoying a pint of beer or pop and pizza. Afterward, bring your pumpkin to Pennsylvania Park to enter the Jack O' Lantern Walk. Halloween is always a treat in Petoskey. Make sure to check it out this year! What does a small town have to offer shoppers when the nearest mall is almost two hours away? In Petoskey, Harbor Springs and Charlevoix areas the variety is surprising! The tradition of boutique shops and mercantile thrives in these communities and is foundational. Reusch Jewelers, Meyer Ace Hardware, Grandpa Shorters and others have served the community for decades; some for over a century! Did you know that the JC Penney store is still located in the very building that Mr. Penney himself selected? From high-end boutique specialty shops to national chains like Chico's, the variety and availability of merchandise are more than enough to satisfy even the most discerning shopper. As a resident of the area who needed to feed and clothe a family, I was able to find all that I needed within my budget. At first glance, I had expected to find high prices and merchandise targeted for the resorter's market only. Those things can definitely be found but they do not define the shopping experience. Several choice resale and consignment shops add mystery and the sense of conquest to shopping. Who doesn't love finding quality at a fantastic deal? It can be as fun or as practical as a shopper's mood (or budget) dictates. Amazing commitment to community and clients are hallmark features of shopping in Northern Michigan. Good morning! The birds are singing, the orange glow of sunlight is beginning to creep through the gap on the side of the window blinds, and you think to yourself, I can't wait to get up and experience the day. I grew up in the Metro Detroit area, which I still love. I've been fortunate to live in several beautiful parts of the country including Boston and Phoenix, however, nothing compares to life in Northern Michigan. Jobs and real estate: People are generally kind. There is a sense of community that I haven't found in other parts of the country. Neighbors actually do bring you pies and pastries when you move in. Finding work can be tough as there are numerous seasonal jobs, not as many large companies, and real estate prices are higher than other parts of Michigan and the United States. Residents of the area would love for more companies to move to the area while maintaining the beauty and charm of this quaint town. Weather: Depending on your viewpoint of winter, it's the best place you've ever lived or potentially the worst. We do get snow up here and lots of it! Winter tires are more common up here than many other parts of the state--it's hilly here and we need them. It's amazing to think that you can paddle board on Lake Michigan in the summer and a few months later you can snowmobile across it. I'm looking out at a frozen over Little Traverse Bay that people will be swimming in three months from now. Summers are mild to warm. I love winter, however, most people I know feel the need to take a trip somewhere warm around February or March. Being close to the water, breezes keep things comfortable. This is a part of the country where you get to experience the best and worst of each season. Fall leaves have the most beautiful colors and the town seems like the perfect movie set. Activities: There is no shortage of things to do up here as a local. We have skiing, fishing, golf, sled hills, water sports, hiking trails, local breweries, eclectic food choices and more. We don't have a large shopping mall and many people travel to Traverse City or Gaylord to do heavy shopping at the stores there. That being said, there is a Walmart, Meijer, JC Penny, Home Depot, Lowes, grocery stores both regular and co-op, and several boutiques and small businesses to purchase your needed items. We like it that way--it adds to the charm. Life in general: Life in Petoskey is a little slower paced than other parts of the country. Most live here because they want to, they enjoy the beauty of the area, and with these characteristics, people are generally happy. I describe Petoskey as a place that seems a half a decade behind with a modern flair. Ultimately, living in Petoskey has the best balance of weather, things to do, and charm. I can't imagine living anywhere else. You may have visited Northern Michigan and heard a local refer to a visitor as a "Fudgie." You may have thought, what on earth is that supposed to mean? Essentially, you are assumed to be visiting "Up North" and probably going to buy some fudge, as many tourists do. Thus, you are automatically referred to with the term of endearment known as the "Fudgie." The truth is, we have all types of things we say in Northern Michigan that are a little different than what you'd say in other parts of Michigan. You may have referred to people from the Upper Peninsula as "Yoopers" while they called you "Trolls." The Yooper is the person from the Upper Peninsula -- think the letter "u" and the second part of the word upper and you get the Yooper. The Mackinac Bridge connects the lower peninsula of Michigan to the upper peninsula of Michigan. Fairy tales and legends past have dictated that trolls live under bridges. Thus, anybody in the lower peninsula, or really anywhere below the upper peninsula, might be called a "Troll" as they live under (or below) the Mackinac Bridge. The list of Michigan lingo could go on, but let's leave it with this. You probably have said that you are going "Up North" before--literally meaning anywhere above a certain point in the state of Michigan. But what do you say when you are from or heading back from a northern part of Michigan to a lower part of Michigan? "Up North," we say we are going "Down State." Just a little lingo lesson. I'll make sure to provide some other lingo in another post. In the meantime, what is some of your favorite Michigan regional lingo? Please let me know; I'd love to feature it in a future post with credit to you! Some people think that Northern Michigan has nothing to offer in the winter. Nothing could be farther from the truth. Winter provides the region with many opportunities for winter activities and beauty that you can't find during other seasons of the year. There are numerous nearby ski hills, ice rinks, parks, lodges, cabins and other points of interest. Several lakes can be found nearby, including Lake Michigan, where you will find people snowmobiling and ice fishing. Often times Northern Michigan provides a snow globe and movie-like atmosphere. Beauty can be seen while skiing, snow shoeing, walking out to the beaches and parks or just going for a drive. Nearby authorities are pretty proficient at clearing the roads and sidewalks because the area is used to heavy snow. With less green, sunset colors are magnified over Lake Michigan and Little Traverse Bay. Seeing such a large body of water freeze over is breathtaking in its own way. It's truly surprising that Hollywood hasn't found the benefits of filming in such a picturesque place. Then again, perhaps it's good that not too many people know. It allows us to enjoy it all the more! Few visitors are aware of the Petoskey Winter Sports Park tucked away in the northeastern most residential part of the Petoskey downtown area. The park provides a free sledding hill, ice skating, and an ice hockey rink. There is even something akin to a "bunny hill" with a motorized rope to help pull you back up the hill. Should you need your skates sharpened, you can do so for $7. During the summer there are basketball hoops and fields where it's not uncommon to see frisbee games and other people playing different field sports. There is also a summer kids camp. Don't hesitate to ask a local real estate pro where you might find a great opportunity to find something fun and free to do in the area! To find it, you may GPS 1100 Winter Park Ln, Petoskey, MI 49770. When in the Petoskey, Harbor Springs, Charlevoix or Bay Harbor areas of Northern Michigan a trip is not complete until you have experienced at least a portion of the Wheel-way Trail. Beautiful scenery and places to rest and picnic along the way make what would be an ordinary bicycle ride an extraordinary experience. The northwestern side of lower Michigan has long been know as the amphitheater of spectacular sunsets. I venture to say there are more pictures of the spectacular sunsets than the sunrises. I challenge you to get up early when you are in our area and treat yourself to an easterly spectacle over one of our inland lakes. Crooked Lake is an ideal location for this activity. There is a boat launch just off of U.S. 31 North out side of Petoskey where you can park and walk along an unobstructed area to view such a sight. Petoskey Real Estate... Good Time to Buy? Sellers have been rejoicing lately in the Petoskey area home market. A lack of inventory of homes for sale in the area, few new builds, and rising construction costs have caused values to creep up. It probably sounds like a bad time to buy, however, nothing could be further from the truth. With mortgage rates expected to jump quarter after quarter this year, and the area still experiencing a consistent general increase in home values, buying now might save you a ton of cash later. Sellers still remain in a good position to get the most out of their home with an experienced real estate agent. This is a great time to buy or sell in Petoskey as both parties are more likely than ever to experience a positive outcome. It's a great time to consider speaking with a real estate professional if you are questioning the current market whether it be buying or selling. 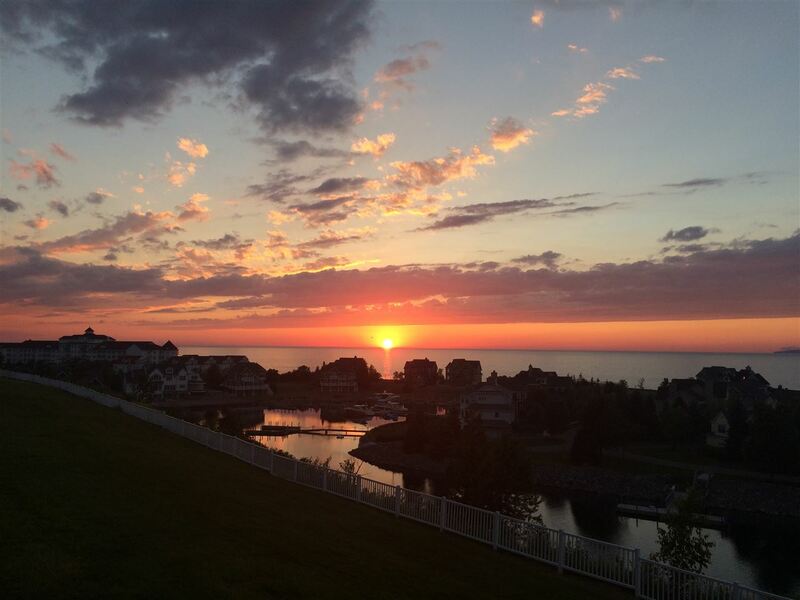 Petoskey has long been renown for its "million dollar sunsets" and resort living. But beyond the sunsets, waterfront properties, ski resorts and boutique shops is a community of people embracing the challenges of each day. The Petoskey Regional Chamber of Commerce has won the Michigan Outstanding Chamber Award for three years in a row. 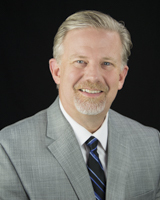 They are pushing the boundaries of how a Chamber is defined by focusing on ways not only to promote area business but to teach and train those businesses to succeed. 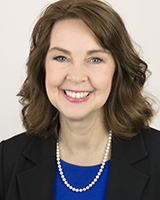 They have partnered with other Michigan Chambers for political strength and to leverage resources to provide a support network for the community. Community is also being built by the amazing support that is given to local charities like The Nehemiah Project and the Pregnancy Care Center. Individuals in crisis find themselves embraced by Petoskey through fund raising efforts. Petoskey is a small town, a jewel on the shores of Lake Michigan's Little Traverse Bay, with roots firmly planted in the idea of loving your neighbor as yourself. It seemed as if Northern Michigan was never going to get to spring...well here we are! The trees are budding, grass is getting greener, flowers are popping and windows are open. 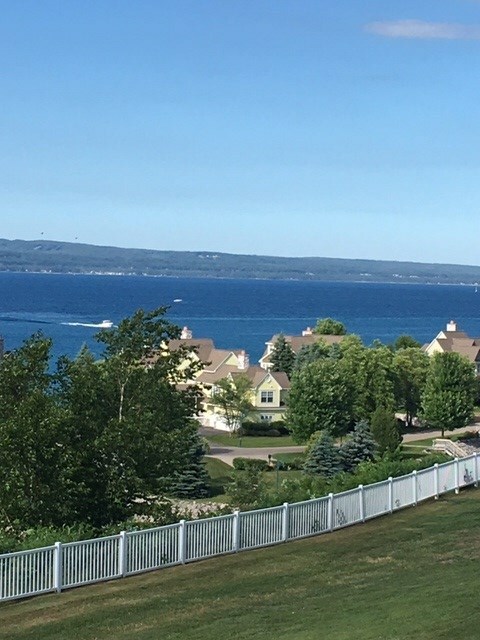 It is a wonderful time to be in Petoskey, Boyne City, Charlevoix or one of the many surrounding areas. You can't beat being surrounded by beautiful lake after beautiful lake. Lake views aren't all that Northern Michigan has to offer. It's festival season. There isn't a town that won't have something fun going on. To name a few to look for: Festival on the Bay, Morel Mushroom Festival, Venetian, Boyne Thunder, Petoskey Rocks and so many more. You can find something every weekend to do in our beautiful area, out side of boating, biking, hiking, zip lining, sunsets, waterfront strolls, or fireworks. When I first moved from the "Big City" to Petoskey, friends and family were concerned about all of the culture that I would miss out on. Things like museums, plays and concerts were mentioned repeatedly. The truth was, that I rarely participated in these events due to budget limits and the distance that was often involved. They were great special events but not a regular feature of my life. I was already doing without. Since moving to Petoskey, I have enjoyed picnics at Concerts in the Park where I listened to musicals, international children's choirs, jazz, blue grass, chamber music, you name it. I was enthralled to hear a Russian violinist play some of the world's most difficult pieces at Bay View Auditorium. I have watched neighborhood children grow from elementary productions to professional presentations of major musicals and plays. The Petoskey Steel Drum Band is a nationally recognized "tour de force". The Crooked Tree Arts Center showcases local artists and world class exhibits. All in all, my life is richer here in Petoskey because my friends and neighbors value excellence in the arts. I can hardly believe that soon we will be watching another season of soccer at the great fields on Click Road in Petoskey! The Petoskey Youth Soccer Association has already started indoor training. They bring some of the best training in the state to our community. Their fields are also some of the best maintained. It is never too late to contact them and find out how to be a part of this program. Soccer in Petoskey, one of the best things about spring (and fall) in Northern Michigan. This time of the year produces some of the most spectacular weather. Dramatic, autumn cloud patterns that are the backdrop to an array of deciduous colors make for the perfect visual picnic. I have also noticed that the insect population is directly proportional to the number of people visiting our area and Fall brings that lower influx of people and pestilence. My wife and I recently hiked the Sturgeon Bay portion of the North Country Trail. What a fun and relaxing time - no bugs, very few people, if any, and the colors, smells and sounds of the wilderness were just the ticket to recharge after a busy week at RE/MAX Lighthouse. So, if you reside in our neck of the woods or would like to experience the outdoors specific to our area: Don’t wait! Come have some fun because Fall soon will be gone and...oh, I see snowflakes as I am typing. Beautiful aromas waft through the air as all of Petoskey is in full bloom. Flowers are bountiful because everyone takes great pride in their little piece of Petoskey and the overall feel for our visitors. Doesn't matter where you are, the downtown Gaslight district is full of eclectic wares for sale. You'll find shops such as Linda Michaels offering hand crafted Petoskey stone jewelry or coffee shops like Roast & Toast Cafe roasting all their coffee or Grandpa Shorters where you can really find a gift for the hard-to-buy-for person Soon all the festivals and art shows will begin. It is absolutely an amazing time of year for us. Petoskey is such a beautiful history rich town nestled on Little Traverse Bay. We have a waterfront that offers a walk/bike path, waterfalls, playgrounds, ball park, breakwall (that most locals and visitor take a leap off of in the summer) marina and some of the most incredible sunsets ever to be seen. Several shops and restaurants have been in the Gaslight area since the early 1800's. I love living in Petoskey for all of these reasons but also for the tight knit community that believes in family and helping one other. Stop in sometime the doors are always open. The data relating to real estate on this web site comes in part from the Internet Data Exchange Program of the Northern Michigan MLS (NM-MLSX). Real estate listings held by brokerage firms other than RE/MAX of Michigan are marked with the NM-MLSX logo and the detailed information about said listing includes the listing office. All information deemed reliable but not guaranteed and should be independently verified. All properties are subject to prior sale, change or withdrawal. Neither the listing broker(s) nor RE/MAX of Michigan shall be responsible for any typographical errors, misinformation, misprints, and shall be held totally harmless. Northern Michigan MLS, Inc © All rights reserved. The data relating to real estate on this web site comes in part from the Internet Data Exchange Program of the Water Wonderland MLS (WWLX). Real estate listings held by brokerage firms other than the firm which owns this website are marked with the WWLX logo and the detailed information about said listing includes the listing office. All information deemed reliable but not guaranteed and should be independently verified. All properties are subject to prior sale, change or withdrawal. Neither the listing broker(s) nor the broker which owns this website shall be responsible for any typographical errors, misinformation, misprints, and shall be held totally harmless. WWLX information is provided exclusively for consumers' personal, non-commercial use and may not be used for any purpose other than to identify prospective properties consumers may be interested in purchasing. Water Wonderland MLS, Inc © All rights reserved.